Elegant Conference Table Features 3mm Reeded Edges And Is Part Of The Lorell Chateau Series. 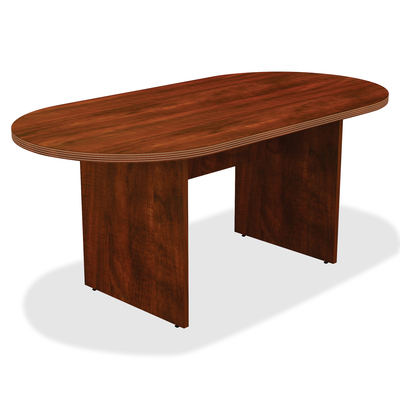 Oval Top Is Finished With A Durable, Cherry Laminate. The Almost 6' Width Provides A Convenient Meeting Space. Two-Slab Base Includes A Modesty Panel.. Elegant Conference Table Features 3mm Reeded Edges And Is Part Of The Lorell Chateau Series. Oval Top Is Finished With A Durable, Cherry Laminate. The Almost 6' Width Provides A Convenient Meeting Space. Two-Slab Base Includes A Modesty Panel.